Rappelling (or snappling, aka abseiling) is a speedy descent by a rope from steep rock and canyon walls using climbing equipment. This is a type of active tourism which involves trekking, climbing up and down, mountaineering, diving and swimming (water rappelling). All of this, in different combinations, is presented in our different tours and routes. 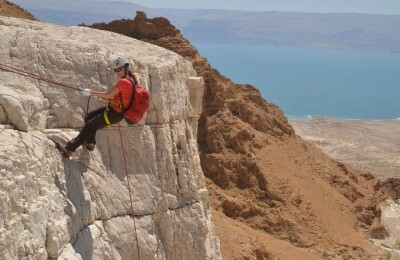 Rappelling is a great way to relax “outside the box” in Israel. 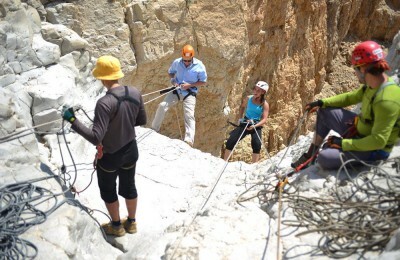 Classic rappelling includes a large route consisting of several descents (3 to 5). At the beginning of the tour the participants trek on foot through a trail (its length varies depending on the route) which will lead them upwards to the first descent. Cave Rappelling, or caving is a descent by a rope and the subsequent trek through the caves of the country. The caves are typically small in size, but have numerous winding passages and delight the explorers with stalactites and stalagmites. 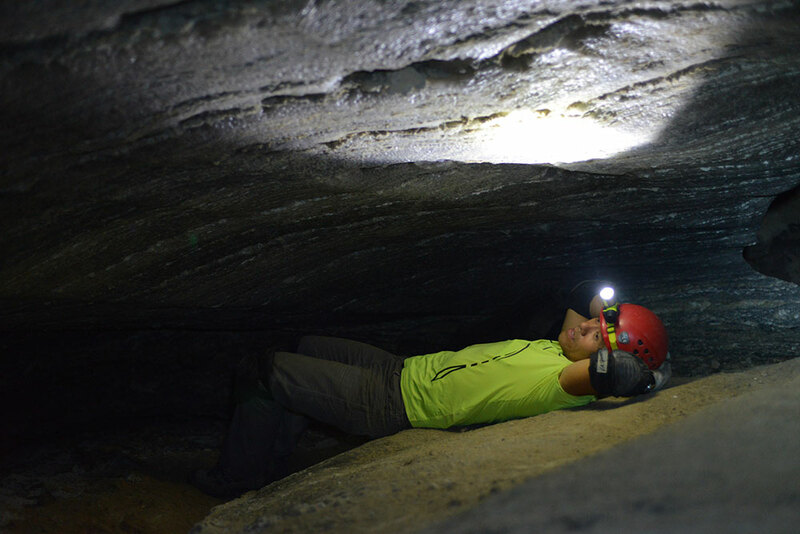 Some of the caves are dead-ended, and thus, you get the chance to not only descend, but also climb back up with specialized equipment. 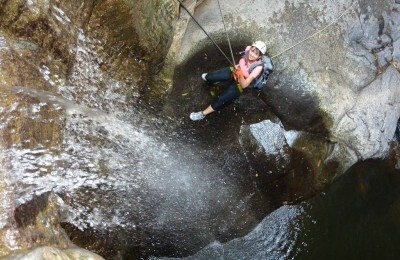 The important feature of the water rappelling is the combination of rope descent with swimming. This is a special type of recreation, where after climbing all the way down the tourists do not feel solid ground under their feet, since they are descending in a small pond. From there the climber forced to swim towards the shore. Often the descent takes place directly in the stream of the waterfall. 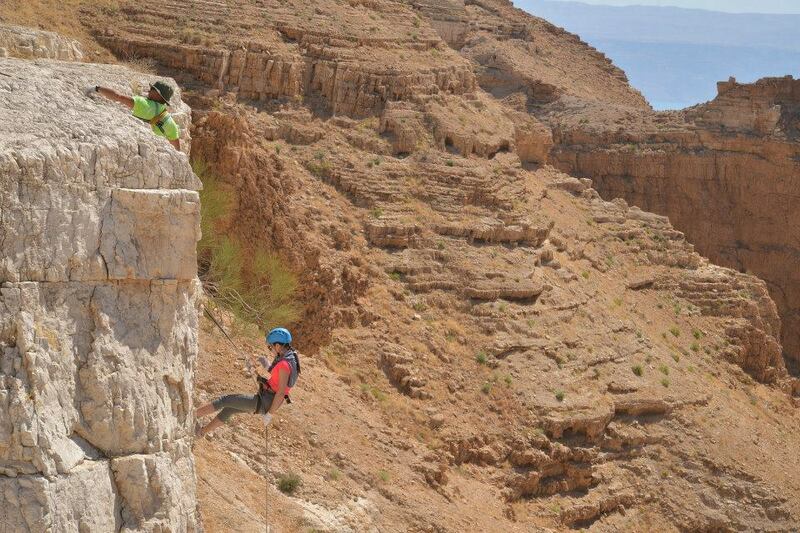 Children activities include programs which serve to acquaint children with an idea of rappelling. They take place on a single descent (typically 30-40 meters high), do not include hiking and are not limited by the number of attempts. 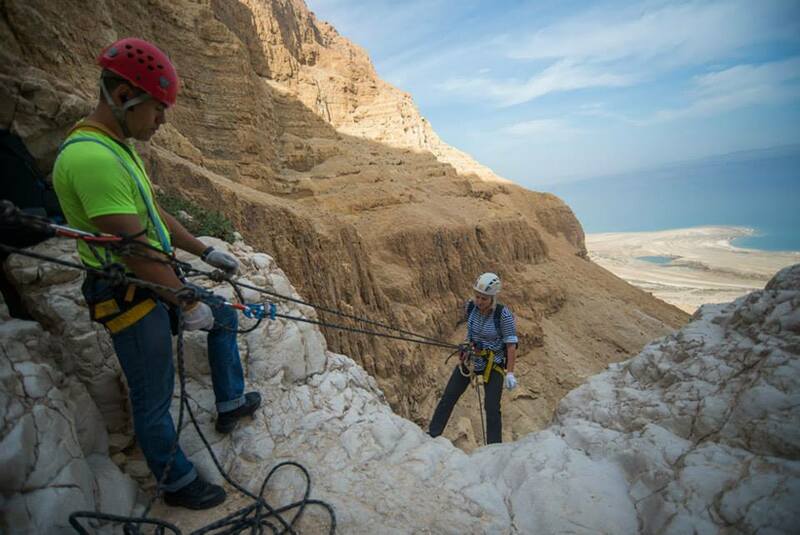 Rappelling in Israel is a year-round delight. However, all routes could be divided into summer and winter ones. In winter (October to April), most of the tours take place in the Dead Sea area – at this time of the year the climate here is quite friendly and comfortable, while the opportunity to plunge after the route in the Dead Sea is a big plus in favor of this adventure. 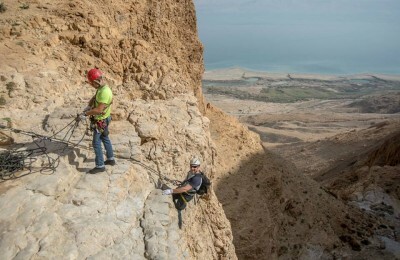 In summer – in the period between April to September – the rappelling largely moves to northern Israel due to the heat conditions. Rappelling is a great opportunity to spend time in an unusual way in great company and at the backdrop of breathtaking nature. It is a great opportunity to deal with the fear of heights, get a share of adrenaline and excitement. It does not require special physical training and is suitable even for children from 7 years and older. Any type of activity bears a certain degree of risk — surprise can trap anywhere. However, the proper organization and high-quality training reduces the risk to a minimum. Our team of instructors takes care of the organization of the tour and provides all the necessary equipment. Trekking in the company of experienced professionals, prepared for any unusual situation, will allow you to distract yourself from worry and anxiety and will help to focus on the most important – on enjoying the tour. Attention! Since rappelling is one of the outdoor activity, special insurance is required («Active Tourism» etc.)! For more details please contact us, travel agencies or insurance companies!